It can be difficult to choose a gift for your spouse for your anniversary. It's a special day that should always be celebrated by the two of you in romantic bliss. Even though it can be difficult to choose a gift, diamonds never fail to surprise and delight. Women love diamonds. Diamonds are also said to signify the "flame of love," so you really can't go wrong with a brilliant, glistening diamond on your anniversary. If you want to get your spouse a very special gift, consider any one of these five diamond anniversary gifts. She's sure to love any one of them and treasure them for years to come. With so many options available, you will find a gift she'll adore. What Jewelry Does She Want? Every woman is different and has her own, unique style. As her spouse, you know what she loves more than anyone. What cut of a diamond is her favorite? It's likely that she has hinted at the type of jewelry she loves to you, probably on more than one occasion. Take into consideration the jewelry she already wears and what she stares at either online or in jewelry stores. 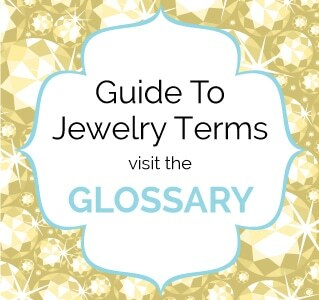 These are clear indications of what kind of jewelry, specifically diamonds, she loves. What items of jewelry doesn't she have? Maybe she only has her engagement ring and wedding band. If that's the case, opt to get her another ring. Maybe she loves necklaces or doesn't have any bracelets. Sneek a peek into her jewelry box and see what she lacks and note the items she seems to love. You could even ask her best friend what types of jewelry if any, she has mentioned wanting. The saying "diamonds are forever" still holds true today and always will. Diamonds are a timeless anniversary gift. They never go out of style, and there are always new diamond gifts each year. You really can't go wrong with giving a diamond as an anniversary gift, or a gift for any occasion. Be sure and be creative with the presentation of the gift, (the box can be changed at most jewelry stores), to fit her unique likes. Also, keep in mind personalization options that can be tailored perfectly to your spouse's preferences. 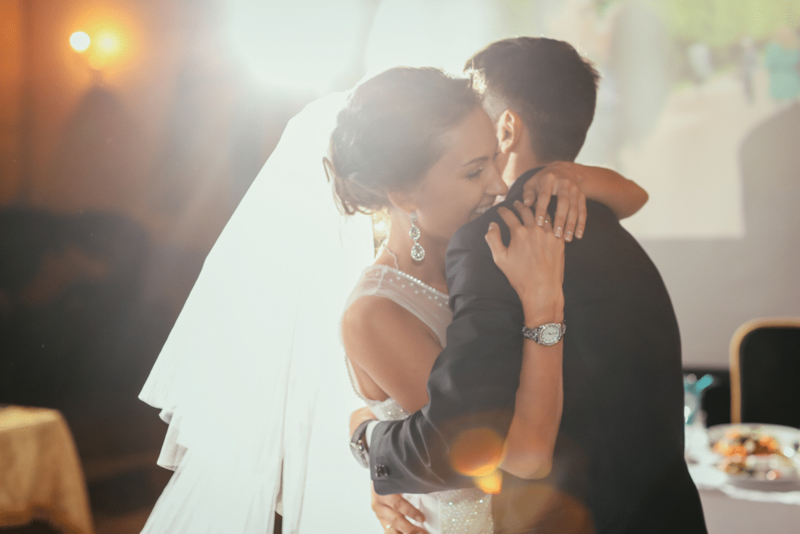 According to anniversary gift guidelines, diamonds are given as a 10th wedding anniversary present, but that doesn't mean you have to abide by those rules. Some materials set in those guidelines are downright ridiculous and would make for a very disappointing anniversary gift. Diamonds are a thoughtful, ​classic gift that she's sure to appreciate and adore on any anniversary. Sticking the guidelines on anniversary gifts can include dull materials such as tin and even paper. Who wants tin or paper as an anniversary gift? Nobody. Jewelry is, and always will be one of the best anniversary gifts one can give or receive. It's one that will last a lifetime, showing that special love you have for your partner. 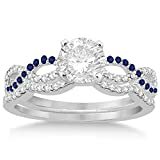 This would be an especially awesome anniversary gift if you weren't able to give her the "ring of her dreams" initially when you proposed or when the two of you tied the knot. Maybe you have advanced in your career or have simply saved up money to increase the size of the diamond on your spouse's engagement ring. Think of the ecstatic expression on her face if you were to present her with a larger diamond, or a diamond of a cut she prefers! It truly would make for one of the ultimate anniversary gifts. 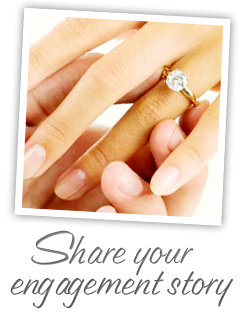 Most jewelers will accept the initial ring as part of the payment for an upgraded one. Return to the jeweler you bought her first ring from, explain the situation and look through the upgraded options. Any upgrade is sure to impress and delight. You could even just add additional diamonds to her wedding band or engagement ring. Wedding bands that have become increasingly popular due to their brilliance and standout look are ones that surround the engagement ring. A band like that would be an extraordinary upgrade to a plain silver or gold band. It would beautifully accent her engagement ring and make a statement. Any kind of upgrade or addition to an already owned piece of jewelry, (particularly wedding bands and engagement rings), are a stunning wedding anniversary gift idea. All Diamond Weights are approximate. Variances of +/- 6% may exist. There are tons of options for a Solitaire diamond necklace. Just as it is with rings, there are all the same cuts, clarity and carat options. It's another timeless piece of jewelry that goes with any outfit. You could even choose a diamond that matches her engagement ring. You can even choose a different colored diamond to wow her, such as a chocolate diamond or a pink diamond. If all else fails though, you can never go wrong with a traditional white diamond. A solitaire diamond is a beautiful piece of jewelry to own and is a fantastic idea for a gift. 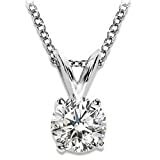 There are even what are called "diamonds in motion" necklaces that sparkle beautifully and would look incredible adorning the neck of the woman you love. A diamond necklace, especially a single, large diamond on a chain, is a very romantic gesture and a perfect wedding anniversary gift, regardless of how many years the two of you have been married. 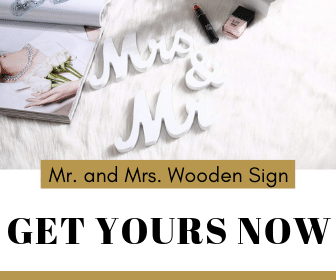 Any of these beautiful pieces would truly wow any spouse. They are available to purchase online and have many gorgeous options. They have rings, pendants, necklaces and earrings, all made with stunning diamonds. This collection is known for its extraordinary cuts and incomparable designs that can't be found anywhere else. With so many options within this collection, one piece is sure to be perfect for your wife. It will be a gift that she wouldn't necessarily expect and, its brilliance will dazzle her. There are even personalization options that will leave her breathless. 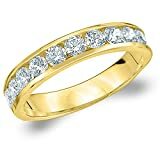 You could also use one of their rings to upgrade her existing wedding band or engagement ring with something more brilliant, flawless and unique. This is a certified NATURAL White Diamond. This is a CONFLICT FREE Diamond. This earring comes in a FREE elegant white leatherette ring box with matching white earring pad. The color and clarity of this 14 carat diamond stud earring is I-J color and I2-I3 clarity. You can wear diamond studs with everything, and they are a perfect gift. Like other diamond gifts, think of the following cuts: princess cut, emerald cut, round cut and heart-shaped cut. 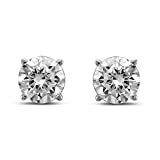 Yes, there are many more options, but for studs, the princess cut or a round cut can go with anything so she can wear them every day. Choose the cut and carat based on not only your budget but which ones your spouse will adore. As mentioned, princess cuts and round cuts are timeless and will wow any woman. She'll also like showing them off. The infinity symbol means forever, so this is a wonderfully romantic anniversary gift. An infinity symbol made of diamonds is a very popular piece of jewelry for both rings and necklaces. There are many options available, even ones that alternate diamond color in the pendant or ring. They even have this option available in the "Hearts on Fire" diamond jewelry collection. You can likely find a piece like this at any jewelry store, and there are lots of personalization options as well. What better way is there to show your enduring love than giving her an infinity piece of jewelry as an anniversary gift? It's one that will show your devotion and love, and she can be reminded of it every day. If she's your "forever" let her know it by giving her this anniversary gift that is the actual symbol of forever. It will leave her smiling ear to ear. Anniversary gifts don't always have to be by the guidelines. Stand out from the crowd and give her something she'll love instead of something that is outdated and boring - like anything tin or cotton. Diamonds are always a wonderful gift idea. Any of the diamond gift ideas mentioned in this article will show her your unconditional love and devotion. She'll be proud to wear any one of those pieces and be ecstatic to receive any of them as an anniversary gift. When it comes to anniversary gifts, always think of unique pieces. You don't want to get her something that everyone else has. You want her to have something special, something that you put a good deal of time in selecting. Let her see how much you love her with a stunning, new diamond. Keep in mind her style and what diamond cuts and color she adores. Anniversary gifts are supposed to be incredibly special, so going with any diamond piece is the best, failure-free idea. Leave her stunned with one of these anniversary gifts that she can flaunt and admire daily.